The proper title of this article is Reel Fishing | Wild. The article is called "Reel Fishing: Wild" due to technical restrictions. 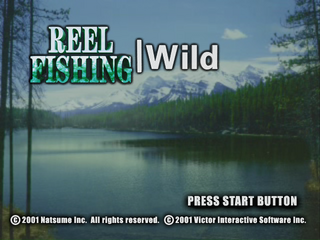 Reel Fishing | Wild, known as FISH EYES Wild (フィッシュアイズ・ワイルド) in Japan is a 2001 fishing game by Victor Interactive Software for the Sega Dreamcast. The North American release, published by Natsume uses Agetec's T-Series code, but the latter company is not mentioned anywhere on the packaging. Main article: Reel Fishing: Wild/Magazine articles.